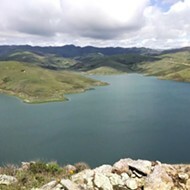 The remote California Valley isn't the only region under fire by San Luis Obispo County in its fight against marijuana grows deemed to be non-compliant with a recent county policy. 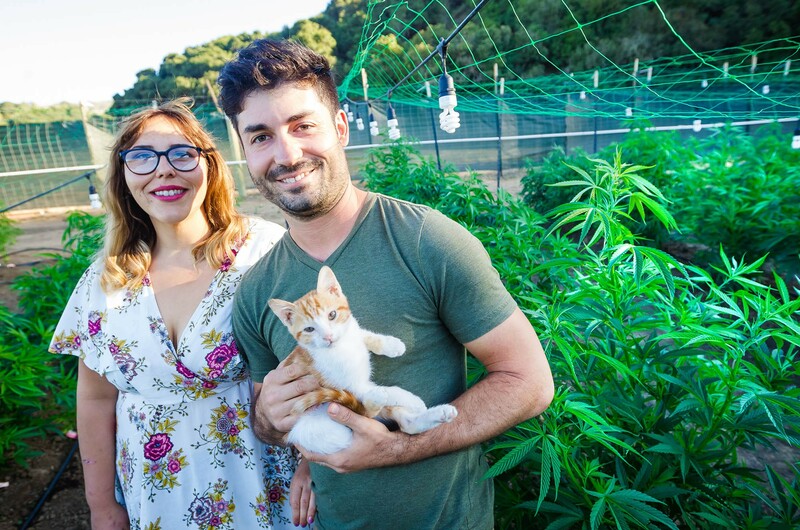 SMALL BIZ UNDER FIRE Megan's Organic Market co-founders Megan Souza and Eric Powers face an uncertain future as SLO County sues to stop the delivery service's cannabis grow in Los Osos. After hitting five Cal Valley pot growers with lawsuits, the county is now suing Eric Powers—co-owner of Megan's Organic Market, a local medical marijuana delivery service. The county is seeking court authorization to abate Powers' cannabis plants on Clark Valley Road in Los Osos, under the charge that the landowner, Susan Veley, has an outstanding code enforcement case on the property. "When the ordinance was put in place [last August], everything on the property had to be in compliance to give approval to an existing grow," said Art Trinidade, a county code enforcement supervisor. "There were some code violations, and we said, 'This thing has to be solved.'" Powers said he leases the 35-acre plot of farmland, where he cultivates a half-acre of medical cannabis that's then delivered to more than 1,000 registered patients throughout the county. The code case on the land dates back to 2012, four years before Powers became the tenant on the property in early 2016. One building on the property—a living structure and an equestrian facility—was constructed without permits, according to the lawsuit. Powers told New Times he was made aware of the code case when he tried to register his grow last fall under the county's urgency ordinance. According to Powers, he received a letter in January of "provisional approval" for his grow pending the code case—but a "timeline or deadline" to resolve the code issue was not included: "They just said there was a problem." 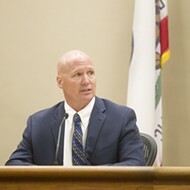 In April, the county told Powers his registration was denied. In June, the county inspected the property and found cannabis growing and is now seeking abatement. Powers said he's talked to his landlord and tried to arrange a meeting with county staff, but months went by without a response. He said he was eventually told that, "they'd been backed up on emails and they were sorry." Despite meeting with the county, and getting conflicting responses from staff, he was ultimately told the denial would stand. "It's just so upsetting," Powers said. "[The code case] has nothing to do with me. I didn't build it. I just happened to get wrapped up in this." Veley, the property owner, said she's had trouble trying to resolve the case with the county. "I've agreed to do anything they want in order to correct the problem, and nobody can figure out how to resolve the problem," Veley said, adding that Powers had "done nothing wrong." 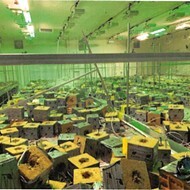 Trinidade, with code enforcement, countered that Powers, and other growers in similar situations, were made aware "from day one" of the code compliance requirement. He said that the county received 160 grow applications that required code corrections, and that "all but 10 have fully complied." "People can do it if they really want to," Trinidade said. "At some point you have to say, 'We're done.'" In more than a decade of cultivating commercial cannabis in the county, it's Powers' first legal trouble. He and Megan Souza co-founded Megan's Organic Market in 2013 with a mission to "improve the health of our community by providing safe and reliable access to quality organic medical cannabis," according to the company's website. "We've been in business a long time and never had an issue with law enforcement," Powers said. The Board of Supervisors authorized the County Counsel's Office to pursue litigation against non-compliant grows on May 23. County officials have told New Times that taking growers to court is the fastest way to halt marijuana cultivation. 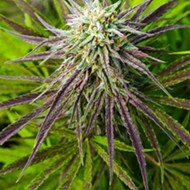 Three of the county's previously filed cannabis suits are still pending while two were dismissed due to growers who voluntarily stopped cultivation, according to county officials. Megan's Organic Market faces a tenuous future as the county writes a permanent cannabis ordinance that will supplant the urgency ordinance. The current draft of the policy places a numerical cap on how many grows are allowed in the county—100—and offers first priority to cultivators who successfully registered their grows under the urgency ordinance. Powers said he'd challenge the lawsuit, and he hopes that the county's future regulations will enable Megan's Organic Market to grow its medicine locally.